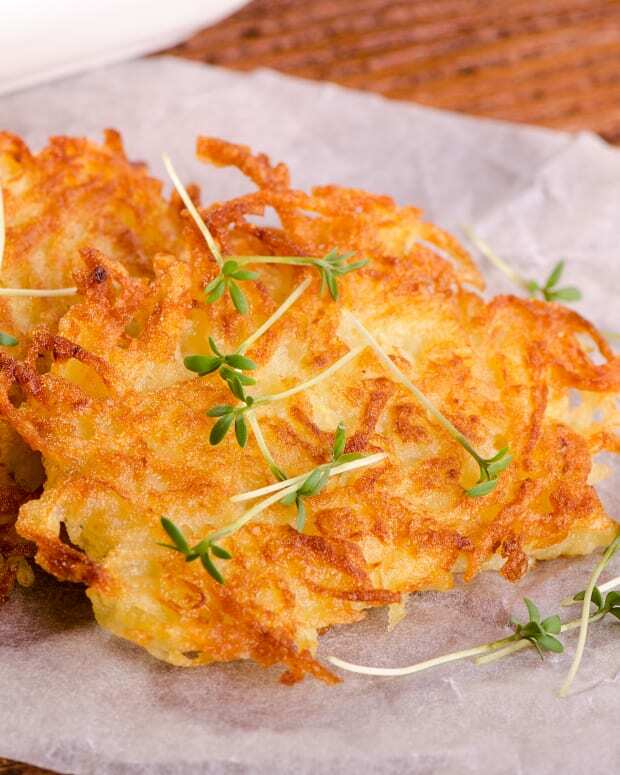 Give your traditional potato latkes some extra spice and flavor this Chanukah with pastrami and Lipton ranch dressing. 1. Peel and grate Yukon gold potatoes. 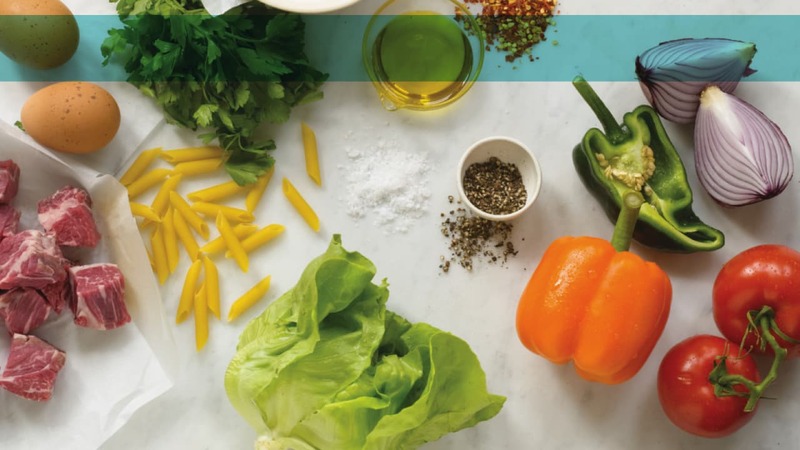 Squeeze out any excess moisture with a clean kitchen towel or thick paper towels. 2. 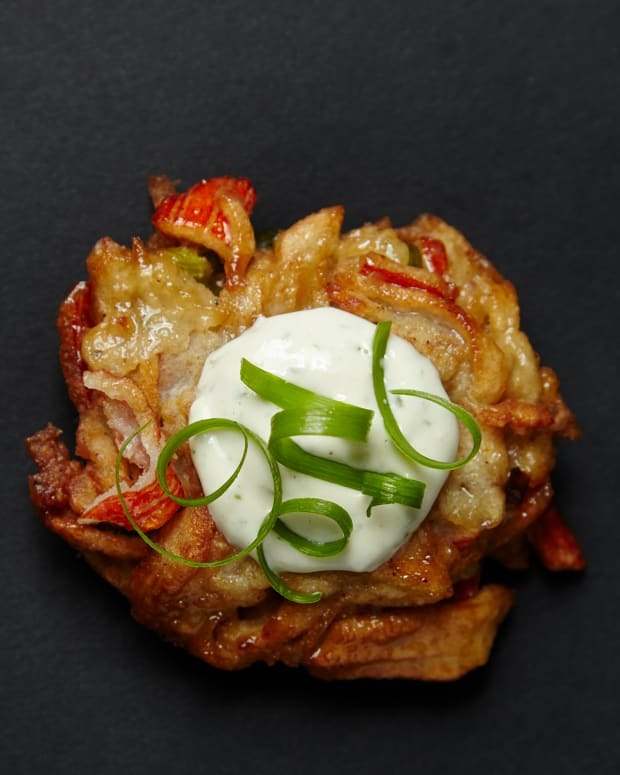 Combine the potatoes with egg, pastrami, 2 scallions, 1 tablespoon ranch mix, and flour. 3. 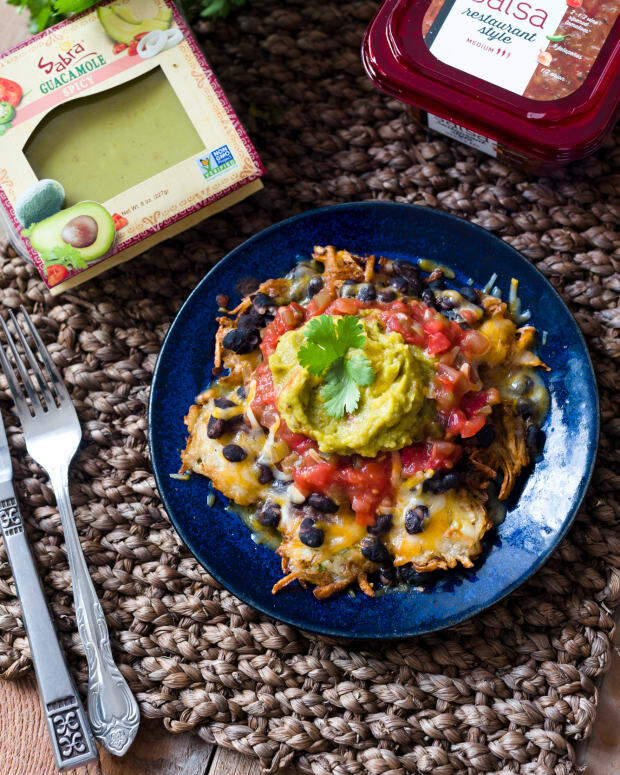 Pour 1 inch of oil in a heavy-bottom frying pan and heat on medium-high heat, until oil is sizzling. 4. Dip a wooden skewer or edge of wooden spoon in oil; if oil starts to slowly sizzle and bubble it is ready for frying. 5. 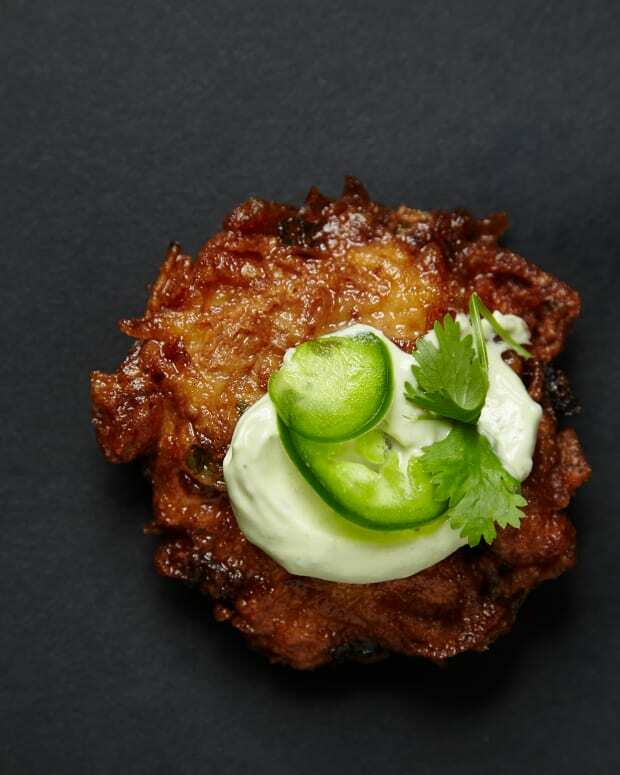 Once oil is hot enough, form tablespoon-size latkes from mix and fry until golden brown on both sides. 7. 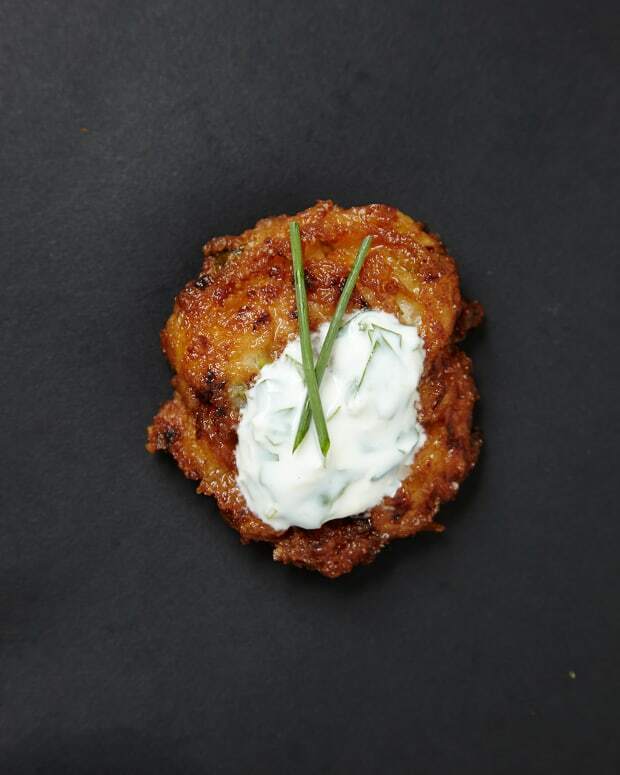 Combine the remaining ranch dressing, sour cream, and mayonnaise. 8. Once you finish frying latkes; fry up the pastrami for three minutes. Drain on paper towels, then use as garnish. 9. 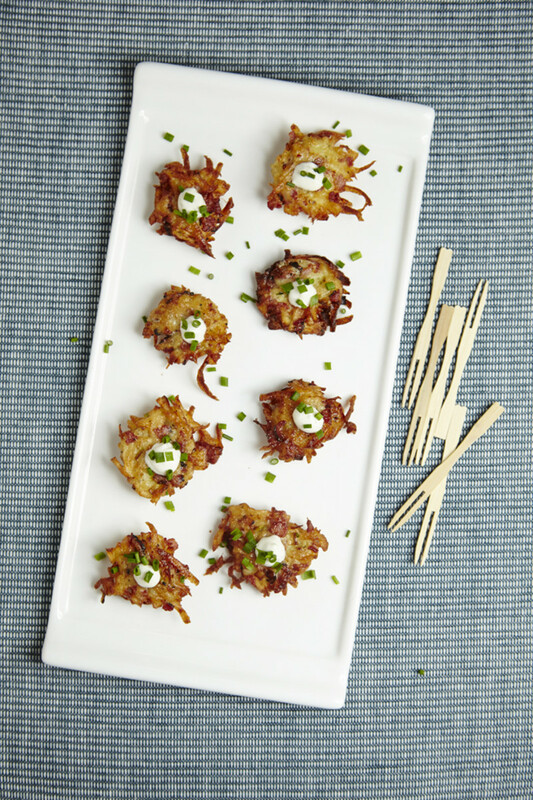 To serve: place latkes on platter and top each latke with a dollop of ranch crème, topped with more scallions or chives and crunchy pastrami, if desired. 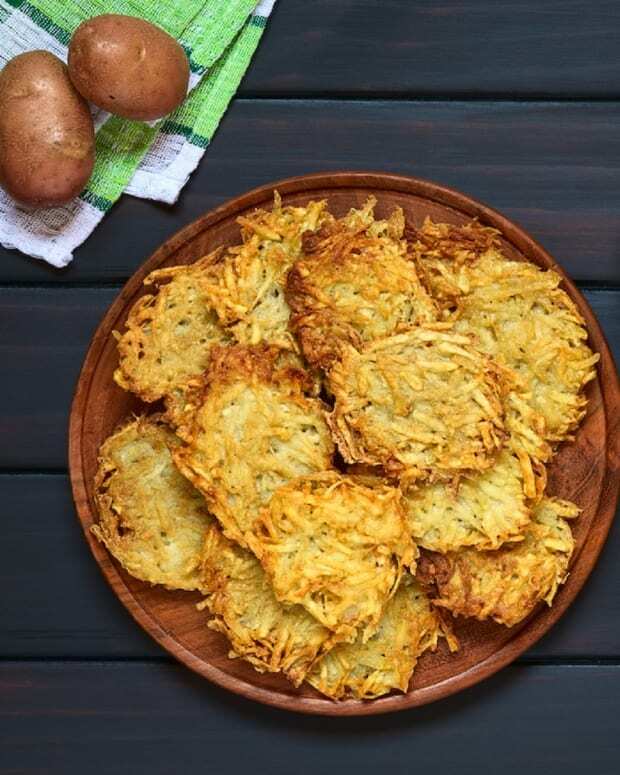 Nutrition facts for one serving (3 party size latkes): 347 calories, 17 g fat, 4.5 g saturated fat, 83 mg cholesterol, 1950 mg sodium, 350 mg potassium, 25 g carbs, 1 g fiber, 7 g sugar, 17 g protein.